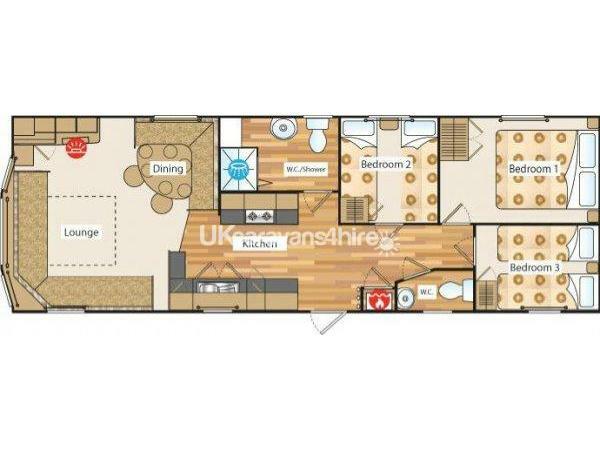 36ft x 12ft ABI Horizon Pet free & smoke free from new.... Deluxe plus 3 bedroom 1 double, and 2 twin all have wardrobe space, two separate toilets one in the large family size bathroom with large shower cubicle, well equipped roomy kitchen with ample cupboards, separate dining area, and large living room with comfy seating area, Freeview 42" LED TV, DVD player, Plus recordable freeview system with over 50 movies stored, Sony PS2, TV in Bedroom, plenty of Games, DVDs, books,some board games etc for your enjoyment, Booking privately with us ensures a quality loved owner Caravan, not a tired over used fleet or business rental.....We stay here at least once a month and ensure our high standards are maintained by our private cleaning company. 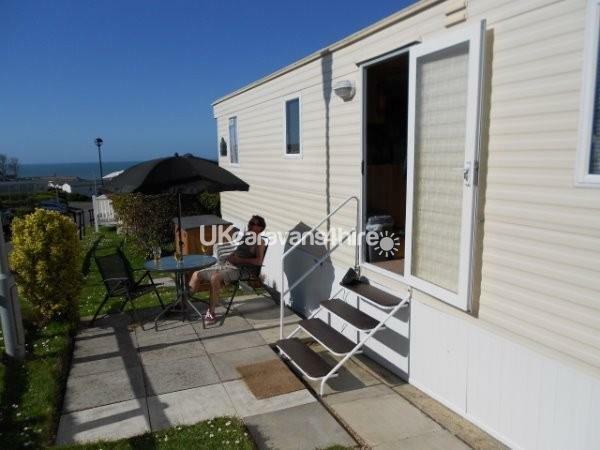 The Caravan is perfect for family holidays Set in the lower central quiet Pembroke area of Quay West Holiday Park with fabulous views of the harbour and sea from the living room window! The pitch is excellent if you want to sit out in the sun, No need to squeeze onto a breezy small bit of decking as it has a large private fenced off patio area cladded under the van creating a fabulous sun trap and a small hedged grass area to the front of the van, all sunny & south-West facing, you can sit here till the sun sets over the views of the harbour. A short 10 min walk along the beach and your there! 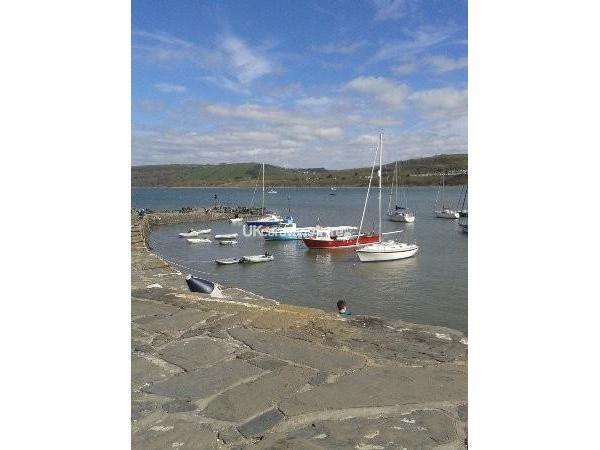 If you have already been to New Quay you know what awaits, it is a special place from the sandy beach to the pretty harbour. 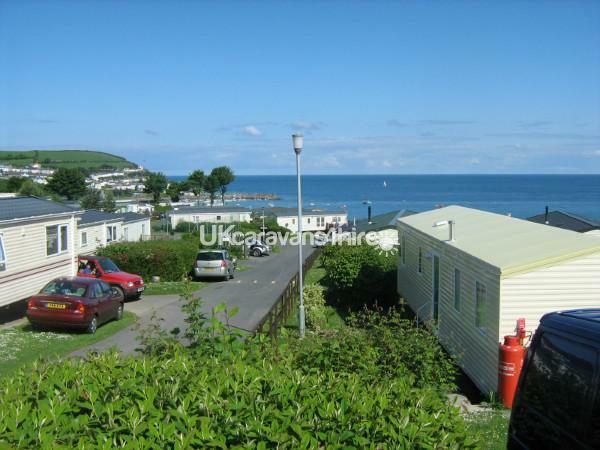 The coastal path of wales actually runs through the bottom of the park along the beach, High season its a vibrant seaside town full of pubs, shops, cafe's, and restaurants. 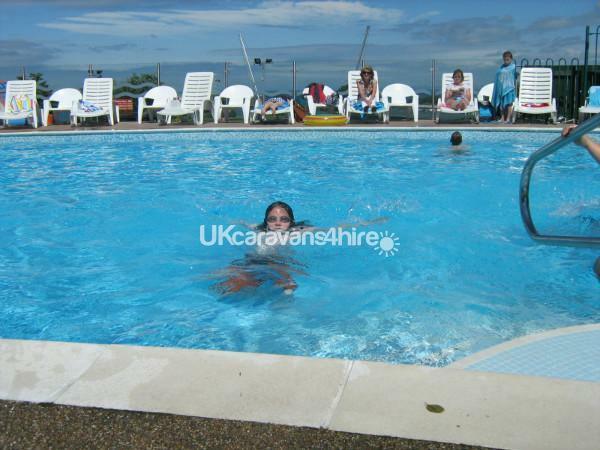 there are fishing boats, dolphin and seal spotting trips, kayak, surf paddle board hire plus lots more. 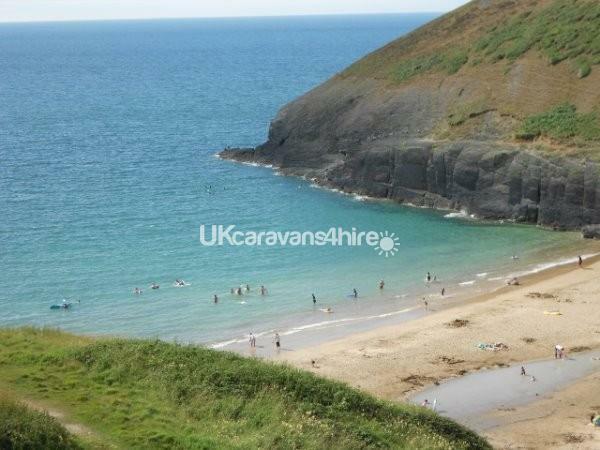 All you need in a holiday, chill or party BBQ on the beach its got be the best location in West Wales. About 5 miles to the north we reccomend a walk along The bustling Harbour at Aberearon with its multi coloured terraced houses,Shops trendy bars and comfy pubs, it has a good vibe, we took a taxi and relaxed for the day had a meal and a bottle of wine watching the boats coming in wonderful! 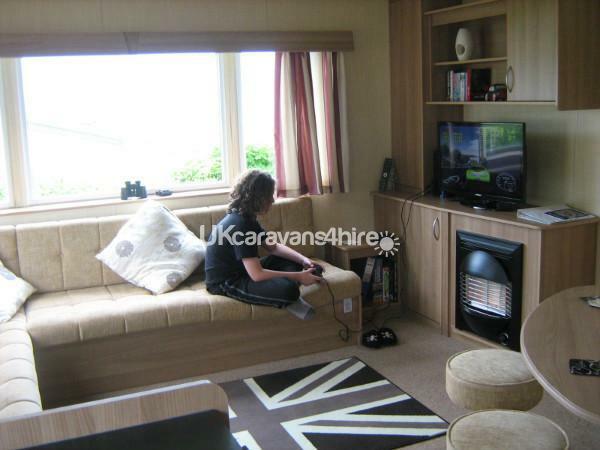 We had a holiday with the grand children aged 5, 12 and 14yrs, the caravan was very clean, tidy and well maintained and in a nice location, great facilities good fun had by all. Would recommend. Thank you Mr Bolt Your welcome back anytime....We offer a discount for repeat bookings ! 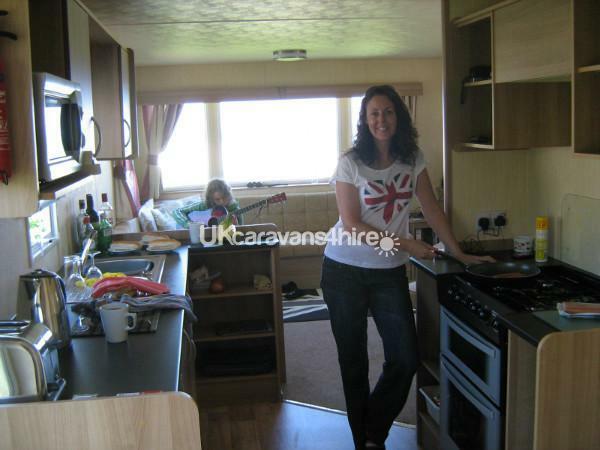 Thank you for leaving the caravan so clean and tidy, your welcome back anytime....We offer a discount for repeat bookings !